The best way to win? Be better. How much better? The Weekend Journal shared a great piece about the Superstar effect – how some stars are so much better than everyone else in the field that they literally crush their competition before the game/match/negotiation begins. When you play Bobby, it is not a question of whether you win or lose. It is a question of whether you survive. These superstar competitors are so significantly better that opponents essentially give up. Whereas in a “normal” competitive setting you can expect several players to push for the win, if a superstar is present the competitors on average slink back. It is not simply a reality of the superstar outperforming – the superstar’s actual game day performance is less material. It is that the would-be competitors actually play/perform worse than if the superstar were not present. By analyzing PGA Tour data, Jennifer Brown of Northwestern University’s Kellogg School has determined that players take on average .8 MORE strokes when Tiger Woods is entered in the tournament. Many Tournaments are won and lost over 1 stroke. 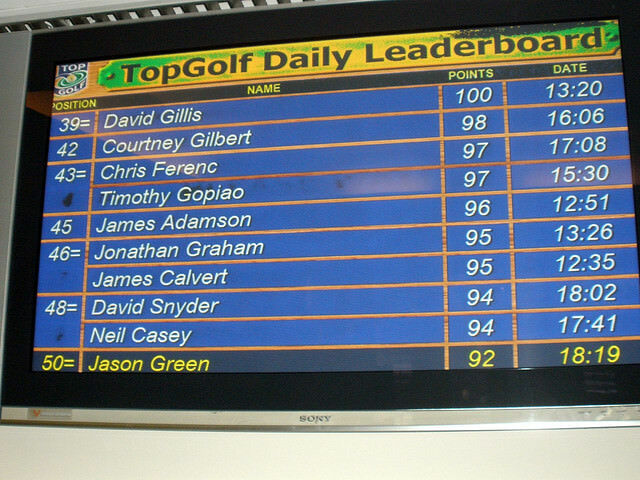 From personal experience watching PGA Tour events on the ground last Spring/Summer I noticed the leaderboard effect. As a golfer landed on the top of the leaderboard, he became more likely to spectacularly unwind. At first I suspected it had to do with the increase scrutiny. 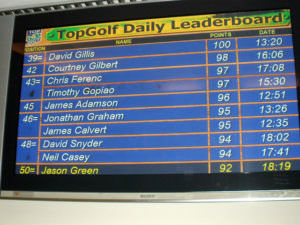 You need not see the leaderboard to understand who is in the lead, just watch the camera crews. The crews will scramble to get every inch of play by the current leader. I’m sure it changes the way you play to have a camera crew up your shorts all of a sudden. But it wasn’t simply the camera crews that caused the anxiety. Consider, as a player gained leader status he was more likely to play with Tiger the next round – an unpleasant experience from what I understand. If you think Tiger can beat you, he already has. Comparing SAT results based on testing venues across all 50 states, researchers have determined that students who test in larger groups did worse. It is speculated that the increased competition and knowledge of the competition led to less motivation. Some of this is insurmountable. Do we really want to provide private testing pods for taking the SAT? But is speaks volumes of the nonverbal influence your peers have. Simply the sight of your peers doing the work you hope to do best may be enough to cause you to give up. So how do we set up our students for success? Students/golfers/performers do their best work when they have gone through the process of mastering the content and then allowing their unconscious minds to direct and control the action. The more “thinking” an expert does, the worse the result. When expert math students are offered cash rewards for winning, they do significantly worse than when told to try their best. It is as though the thought of winning blocks the actual ability to perform. I’ve watched this in students and in consulting clients. A student who perceives his classmates as superior will often give up by the 4th class and either disappear or come up with a huge number of excuses why he cannot perform. If only we could live in isolation…. By isolating a student – ceasing to read the GMAT blogs (most of it is junk – no one should read that stuff! ), having him give up the constant GMAT chatter available on twitter or with his friends – he has the mental energy to concentrate on learning the material he needs to succeed. It isn’t simply the distraction, but the increased anxiety about inadequacy that drives his performance down. But then, that seems to be what ails most of us, most of the time. 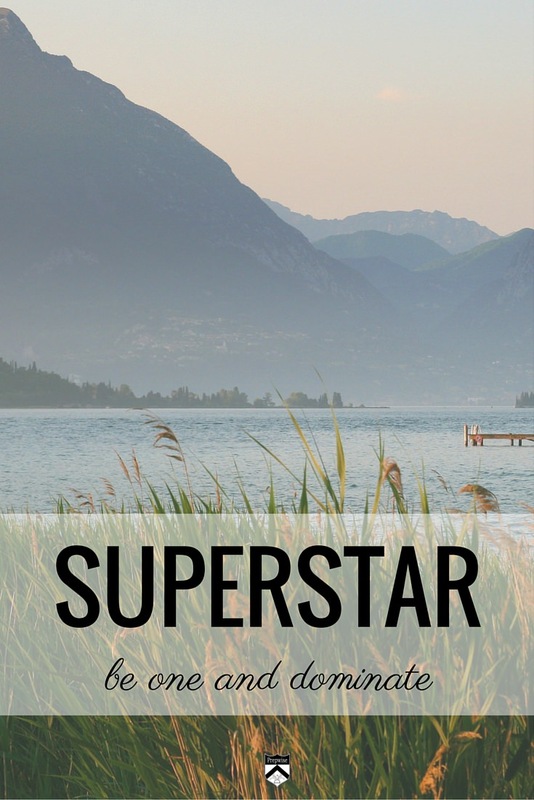 So if you want to win, be the superstar, don’t compete with one.